*This class is limited on the dates available, as it is not offered on a weekly basis like our “Introduction to Fly Fishing” course. We will keep the dates posted on here as they become available, but you can always call us for availability, (303) 674-4700. Call Today to Register Contact Us Today! 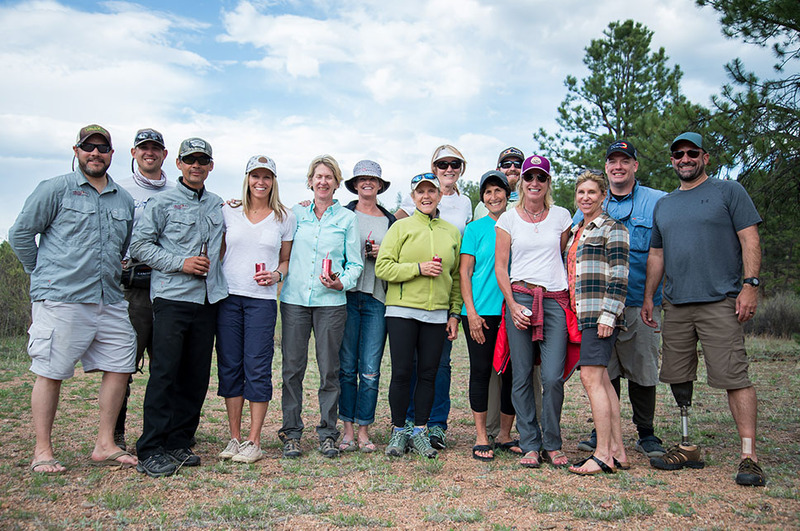 The Blue Quill Angler “Women’s Introduction to Fly Fishing” class is a comprehensive starter course for women only. 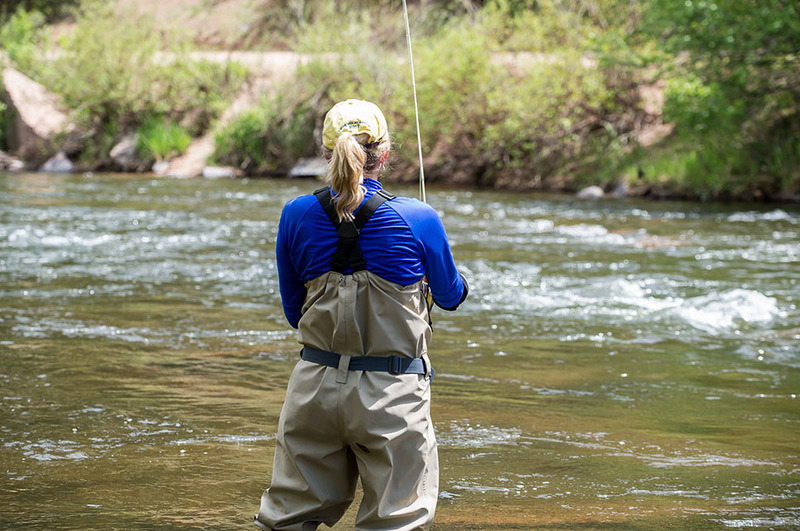 Similar to our “Introduction to Fly Fishing course”, our beginner women’s fly fishing lessons are held over 2 sessions: a Monday evening at our shop in Evergreen, followed by a day on the river on Saturday with your instructor. 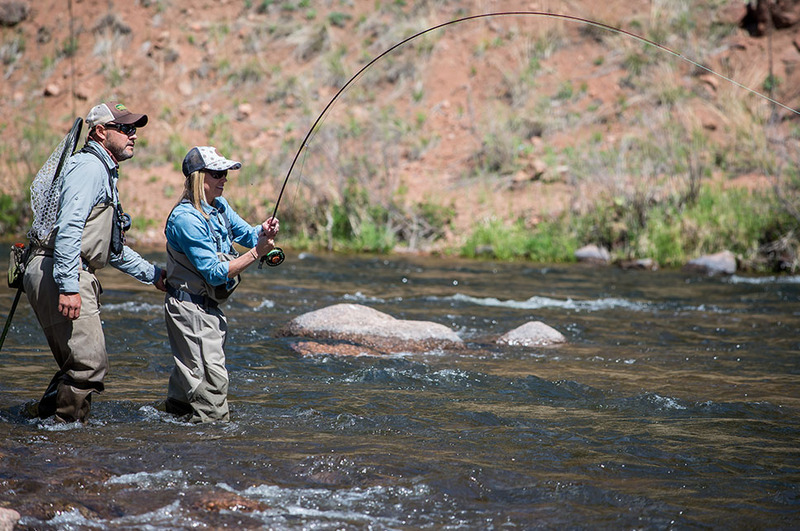 What Will I Learn in the Women’s Introduction to Fly Fishing Class? The first session will introduce the student to fly fishing theory, rigging a rod, casting, knot tying, and entomology (as it pertains to fly selection). The instructor will also hold discussions on equipment and stream etiquette. The Saturday on the river will be focused on developing critical techniques in fishing nymphs, dry flies, and streamers. Topics also covered are wading safety, trout behavior, entomology, reading the water, playing, landing, and releasing fish. 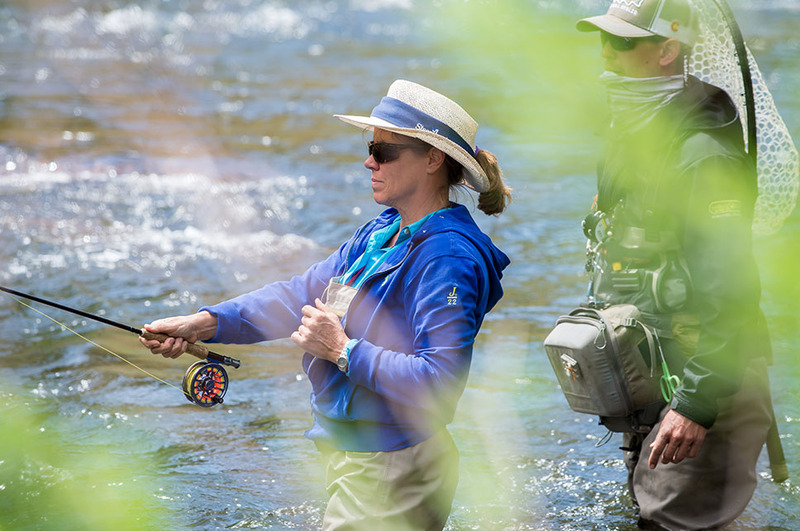 What Gear Do I Need For My Women’s Introduction To Fly Fishing Class?